One of the most flavourful dish from the Sindhi Cuisine. 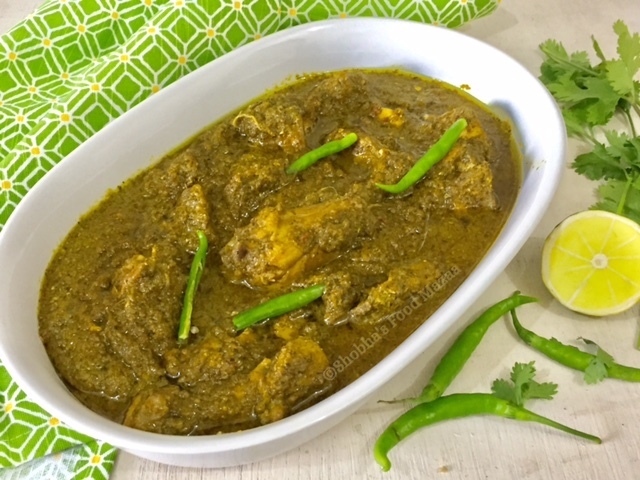 Chicken cooked with mint and coriander sauce. 1. Grind onions, green chillies, mint leaves, coriander leaves, garlic and tomatoes to a coarse paste. 2. Heat oil in a pressure cooker. Add the ground paste and saute it for 4-5 minutes. Add salt, turmeric powder, red chilli powder, coriander powder. 3. Add the chicken. Saute again for a few minutes. 4. Add sufficient water to cook. Finally add the garam masala and cook it for 3-4 whistles. Serve with rotis or plain steamed rice. Hey if you get time,do visit my space..
Shobha...you just rock..I love a lot of coriander and mint going in my non veg dishes....superb ! 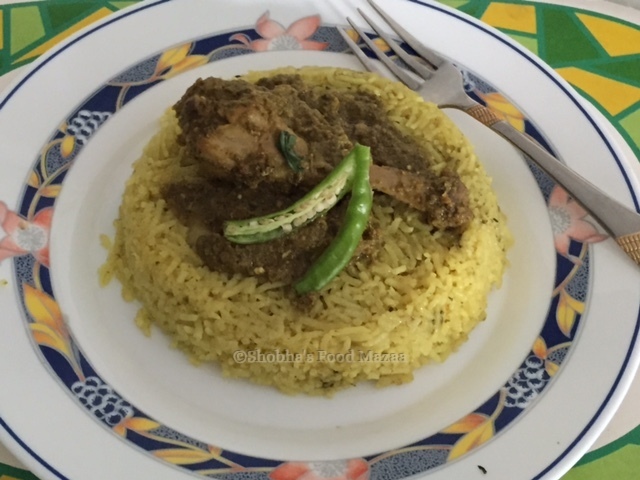 Thanks for dropping by to my blog shobha, this chicken curry looks delicious with all the flavours going in ..Simply YUM! What a vibrantly gorgeous masala chicken! Looks incredibly delicious! so so flavorful n yumm!!! love it..
Oh Goddd.. I miss this!! Looks yummy...and the receipe is made so easy.I will surely try this. Thank you Nilu.. yes it is tempting.